I had lots of plans for my grown-up self that I had almost forgotten. I was never the girl to dream of getting married with the promise of kids and the picket fence. Living in the same town past high school equaled a prison sentence. What I wanted was to make a lot of money for a job that would require constant international travel. I was not planning to get married. Ever. Maybe there would be a boyfriend resembling Harrison Ford circa 1977, but I would definitely not be compromising my personal space for a man, especially a needy one. What I did want was a Rainbow Tribe like Josephine Baker. 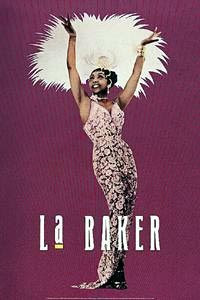 I had seen a movie about her life and her "12 multi-ethnic orphans"( http://en.wikipedia.org/wiki/Josephine_Baker ). I had a vague idea that I would adopt kids from Africa, Japan, the Middle East, Texas (you got to help the Texans out) and other places but I was sure that there would be a little Jamaican boy with dreadlocks. Way to stereotype, I know. But it was my dream. Maybe a little too much It's a Small World at Disneyland. The dream died when instead of going after the big money, I fell in love with teaching the marginalized. I was completely obsessed and became one with my job. I didn't make much money, especially in the first few years, but I was rich in fulfillment. My life was all about work hard/play hard. But when I was pushing 30, something strange happened. I HAD to have kids. All I needed was two - a far cry from my Rainbow Tribe - and I couldn't really afford adoption so I was going to have to do it the old-fashioned way. But what came unexpectedly with the breeding instinct was the urge for the marriage and the house. For the first time in my life, I wanted the whole sell-out package. And it wasn't optional. In the first few years of being a mom, I forgot who I was. I lost my sense of humor with my sleep. My children were the center of my universe. I still felt a deep commitment to my work, but I couldn't throw my whole self in there any more. I had too many people depending on me at home. I suddenly felt like I couldn't meet anyone's expectations - including my own - because my energy was so divided. In the last two years of being unemployed, so much has changed that it's hard for me to process it all. There have been issues of a personal nature that I would only disclose to my closest friends and not in a blog format, and that's saying something because I'm not one to hold back. I've had a significant identity crisis; I was working so much for so long, I didn't know what to do with myself. I discovered the idea of being a stay-at-home mom is way different than reality. As my mom said recently, it's harder than a 12-hour shift at a hospital with no break (she would know). I know moms who look like pros at working in the home. . . they sew their family's Halloween costumes, make their own sushi, have a weekly grocery shopping schedule. They provide a routine that works really well for their families. But they still crack occasionally. I cracked more than occasionally. I dealt with the depressing sameness of staring at the same dishes every day in the same dishwasher by timing myself when unloading it. I was hyper housewife. Everything was put away and clean by the end of the day. Then I was burnt and stopped doing anything at all. That's how it was for a lot of things. I vacillated between trying to be perfect and not functioning. Now I know . . . I must be earning a paycheck. Got to laugh. Look for meaning beyond my children. Dwell comfortably in imperfection. Welcome change. Fear stagnation.